﻿ ADS Regional Daylily Clubs - online Newsletters, Membership and ADS Email Robin information. non-members and would-be members alike. For those daylily enthusiasts who are not yet members, please consider joining and becoming part of the family. An A.D.S. Membership can be had for as little as $25. per year, which includes a beautiful quarterly 8 1/2" x 11" magazine, "The Daylily Journal", filled with resources, interesting articles and coloured photos. Enjoy keeping abreast of the latest hybrids and learn about the gardeners who are creating them. You will also receive in the mail a free ADS Regional Newsletter letting you know of daylily happenings in your specific area. "A beautiful video showing all the benefits of membership"
Membership also gives you free access to an online Daylily Email Round Robin. This List is headed by Tim Fehr and presently consists of 1000 plus members. Currently onboard are many of the top hybridizers and nurserymen in the country, along with backyard daylily enthusiasts and pollen dabbers from around the world. If you are not familiar with the workings of a List, the way it works is this. After you sign up with Tim, you are supplied with an email address. When you write an email to the List address, it is automatically distributed to the entire membership. You will be amazed at the depth of information generated and quickly discover that there are no greater folks around than daylily addicts. Many are just itching to answer your queries and share their expertise. Some members enjoy trading daylilies. This learning platform is flexible and free to A.H.S. members. You will receive instructions on how to turn your incoming List mail on and off if need be. The ADS Members Portal surfaced in March 2011. It's a fabulous informative webpage including many different categories of online forums. A haven for anyone interested in landscaping, hybridizing, photographing or just about anything Daylily related. There's even a store selling T-shirts and other fun daylily items. A link to the new ADS Members Portal is on the Official ADS Webpage. When you become an ADS member you will be given immediate access to explore and join our members-only daylily community. 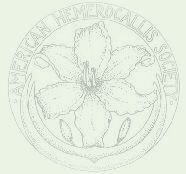 When you join A.H.S., you will receive information about the clubs nearest you. If you would like to know how the country is divided and which Region you would belong to now, a map is supplied on the A.H.S. site. Listed below are A.H.S. Regional Club website links. Not all Clubs have websites; if your area is not listed please check the Official ADS Website for full list of available Clubs, and Club officers to contact. Newsletters on this page are a PDF conversion of the original paper counterpart sent to members/subscribers. To download Adobe Acrobat PDF Reader click Adobe.com. Many of the ADS Club Newsletters are gems and have expanded to magazine style publications with lots of colored photos. Very informative and great reading! Blue Ridge Area Daylily Society, VA.
Delaware Valley Daylily Society, PA.
Finger Lakes Daylily Society, N.Y.
Hudson Adirondack Daylily Society, N.Y.
Long Island Daylily Society, N.Y.
Nova Scotia Daylily Society, N.S. Lone Star Daylily Society, TX. Southern Calif. Hemerocallis & Amaryllis Society, L.A., CA. Mile High Daylily Society, CO.
Georgetown Area Daylily Club, S.C. Mid Carolina Daylily Society, S.C.
Piedmont Daylily Club, Charlotte, N.C.
Raleigh Hemerocallis Club, Raleigh, N.C.
Triad Daylily Fans Garden Club, N.C.
Western North Carolina Daylily Club, N.C.